Simon Barker’s photographs from this period are a rare and intimate account of punk’s ability to mint newness. They are also in their way classic portraits of youth – adventures close to home, and the cool stillness of seeming to live beyond the end of history. 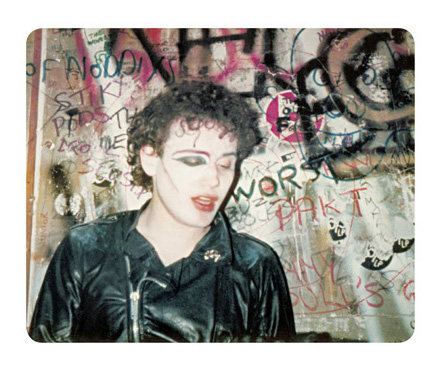 Punk’s Dead exhibition is celebrating the photographic work of Simon Barker (aka Six) in autumn post-transitional Berlin on the 24 October 2014. After Prague and London we can see this history groundbreaking show in Germany. This will be a unique opportunity to see for the first time Barker’s work capturing London’s early punk scene. Barker is a photographer and artist who was a member of the ‘Bromley Contingent’ from 1976 to 1977. 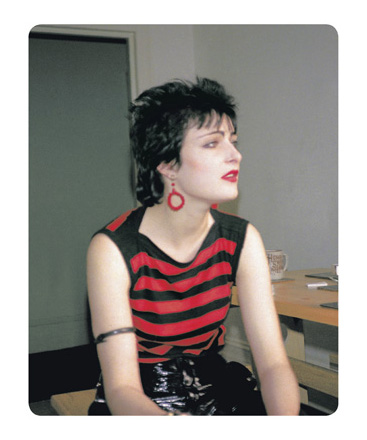 This series of previously unseen images has the power to transport you back to the very beginning of the punk movement and allows us to meet its seminal protagonists such as Jordan, Siouxsie Sioux, Poly Styrene and Ari Up. Barker's remarkably candid photographs show the founders of punk in their bedrooms and kitchens, and at forgotten private parties where they were experimenting with the extremes of dress and style that later became synonymous with punk – but at this time was still restricted to the creative use of their grandmothers’ wardrobes. Barker’s unassuming lens perfectly captures the spirit of the moment, before the twin forces of media and commerce inevitably sunk their claws into the heart of punk’s style and latent politics. 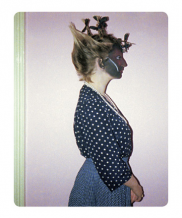 Exhibited alongside Punk’s Dead will be Simon Barker‘s historic photographic sequence TEA. This shows Romanian tyrant Nicolae Ceauşescu, who was always greedy for royal treatment, hanging out with our Queen in the royal carriage during the 1977 Jubilee celebrations. Today we are witnessing a perverse repetition of this travesty, with crowned monsters recently invited to celebrate HM's diamond jubilee at a lunch in Windsor Castle. It‘s uncanny that the Romanian zombie King Michael, freshly found mumified somewhere in a swamp, appears next to her in the official photograph alongside a pleathora of global fairytale figures with blood on their hands – Monarchal Tyranny’s Not Dead. Also available at the show will be Barker’s recently published photographic book Punk’s Dead. This book is an exclusive historical and cultural document featuring an extended selection from Barker’s previously unpublished punk archive, as well as author’s introduction followed by notes from witnesses of the scene, and newly commissioned short essays by Michael Bracewell and Peter Tatchell amongst others.